I have three weddings to go to this summer. I cannot and will not buy any more Squirting Dish Scrubs, Roast and Serve Turkey Lifters, Banana Hangers or Expandable Shoe Racks - all actual items listed in my nephew's registry. Your gift options get even worse the closer to the wedding date. While I know that registries are meant to simplify gift giving and ensure that the recipient receives items he or she wants, many of the listed items fail to convey the significance of the event. 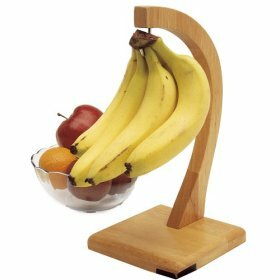 I really doubt that my nephew will be transported back to the day he exchanged vows with his love after eyeing the Banana Hanger I bought him for his wedding day. I could be wrong but I do not think so. I prefer to give gifts with greater meaning such as a Commemorative Tree. Through Casey Trees Commemorative Tree Planting Program you can sponsor the planting of trees in the District to honor the lives and accomplishments of loved ones and commemorate special events. You can select a public dedication where the tree is planted at a Community Tree Planting site or a private dedication where you select the location and date. The recipient receives a commemorative card and a framed leaf of the tree. No matter where the tree is planted it will serve as a lasting legacy. Think of all the summer events you need to attend this summer - weddings, graduations, baptisms, bar and bat mitzvahs, etc. You can't go empty handed and you don't want to be the person who brings the banana hanger.